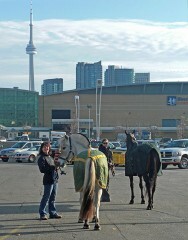 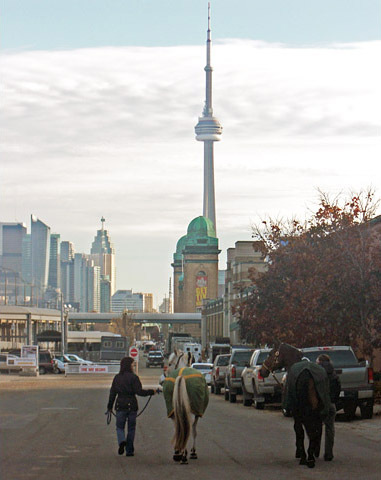 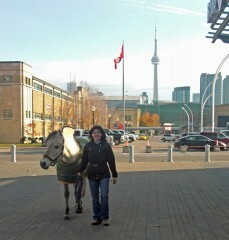 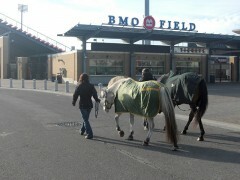 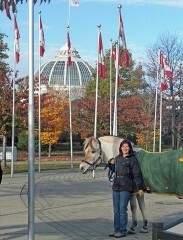 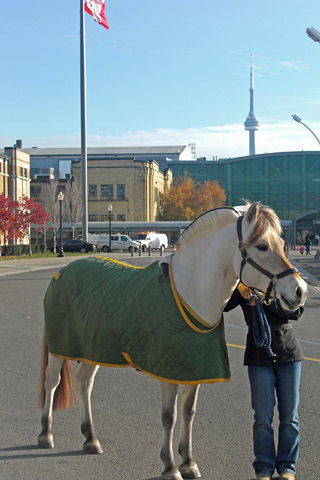 The Royal Agricultural Winter Fair in Toronto is a very big deal. 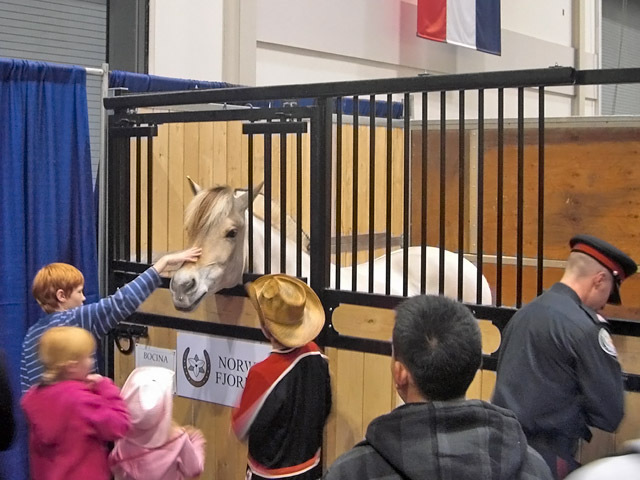 This ten day agricultural exhibition and horse show attracts upwards of 340,000 visitors and is actually the largest combined indoor agricultural fair and international equestrian competition in the whole world! 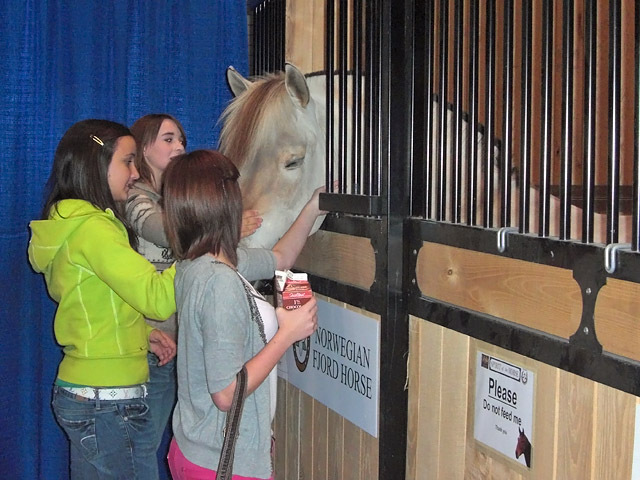 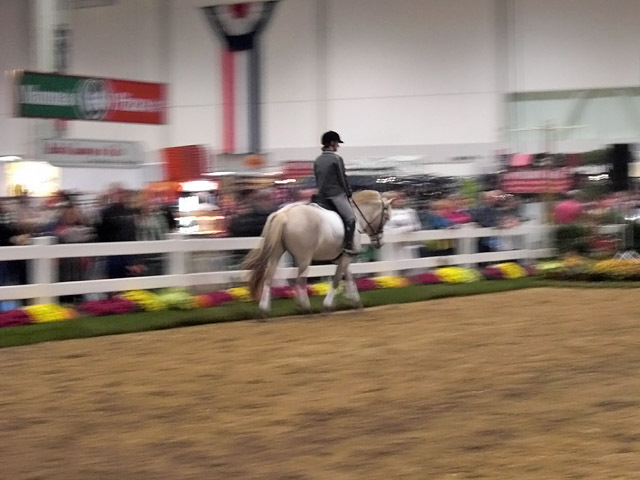 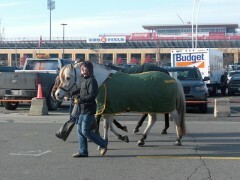 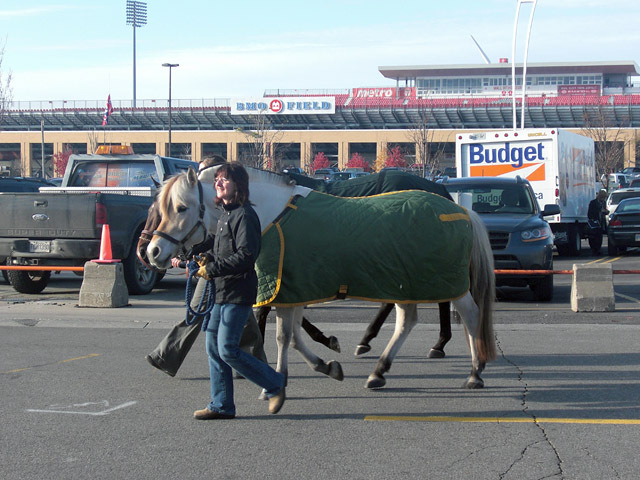 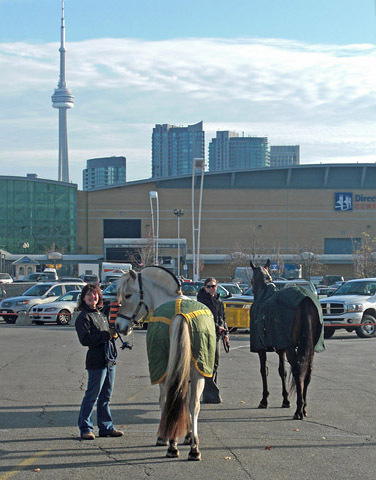 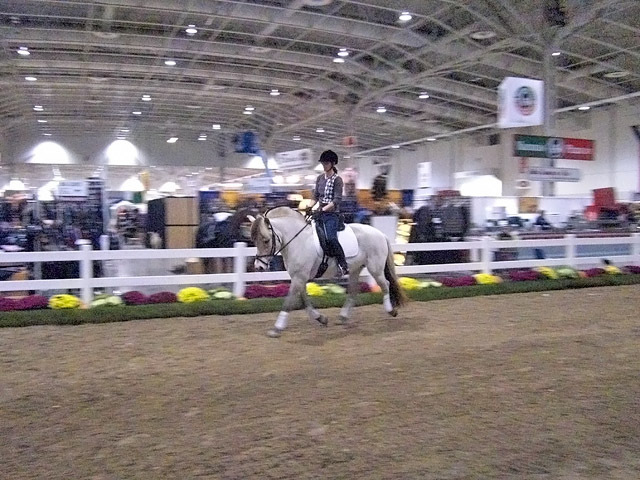 RAWF attractions include the horse show which attracts top equestrians in a variety of disciplines who look forward to competing each year at the Royal, as well as all types of livestock, giant vegetables, crafts, dog agility demonstrations, and shopping galore (especially for us equestrians)! 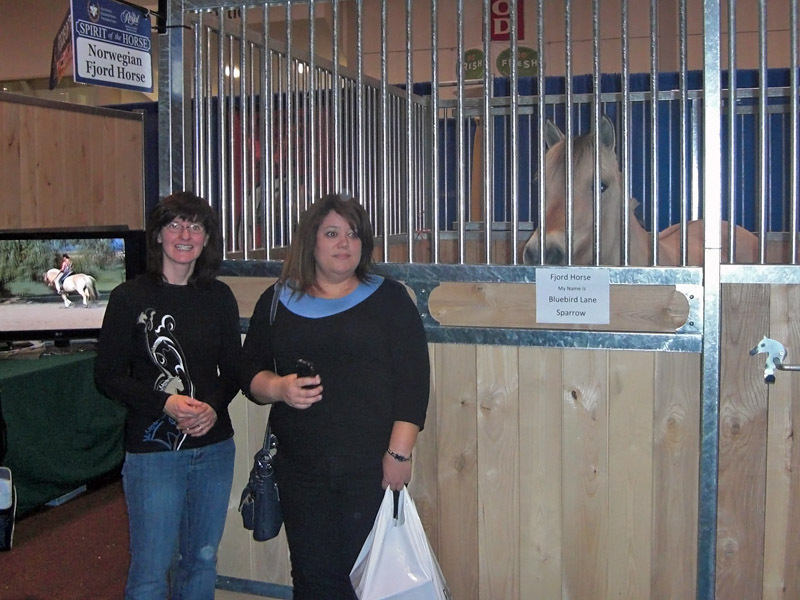 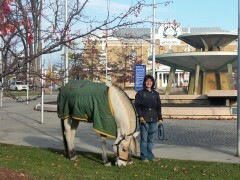 So, I was ever so pleased when last year, for the first time, the Canadian Fjord Horse Association decided to have a booth showcasing the Fjord Horse at the Royal. 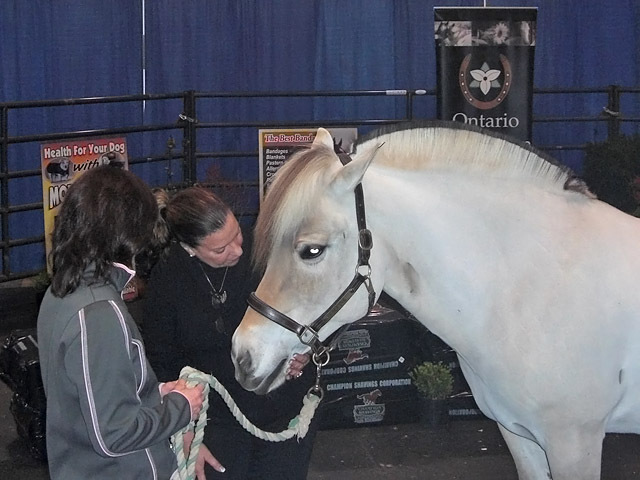 The Ontario Equestrian Federation runs the Spirit of the Horse at the Royal as an area to highlight the variety of breeds of horses. 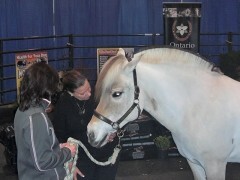 Here, there are breed demonstrations running all day throughout the fair as well as demos of various services like equine massage, training techniques, saddle fitting, and even an animal communicator. 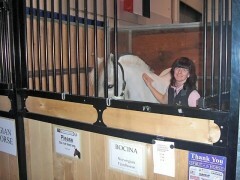 Last year I rode our mare Bocina (now owned by Alice MacGillivray of Gabriola, BC). 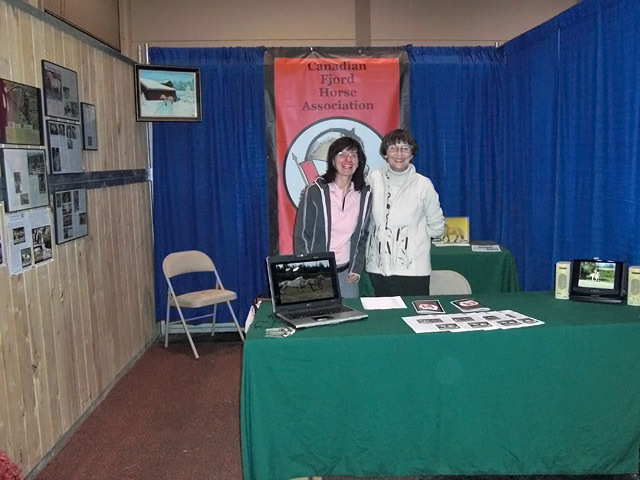 This year Russell Brenneman was exhibiting his mare Bluebird Lane Sparrow, and Stefan and I were there to help out in the booth. 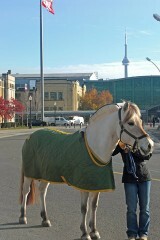 Sparrow was our first foal, and she is now 13 years old. 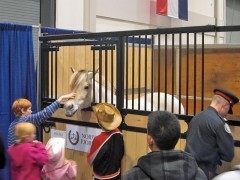 Boy does time fly by and the babies grow up! Russell has had a great year with Sparrow, showing her at First Level and getting good scores and ribbons at the Silver dressage shows. 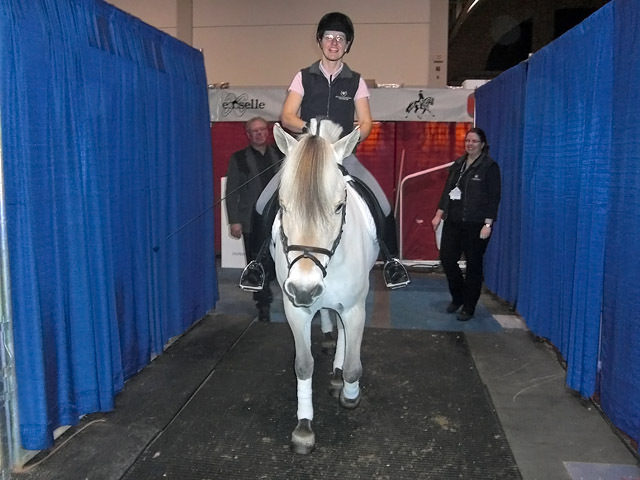 Sparrow was a real trooper at the Royal, acting as a patient model in the saddle fitting demo and doing a great job in her three demos a day in the Spirit of the Horse ring. 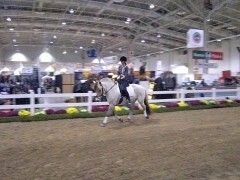 Job well done, Sparrow and Russell! 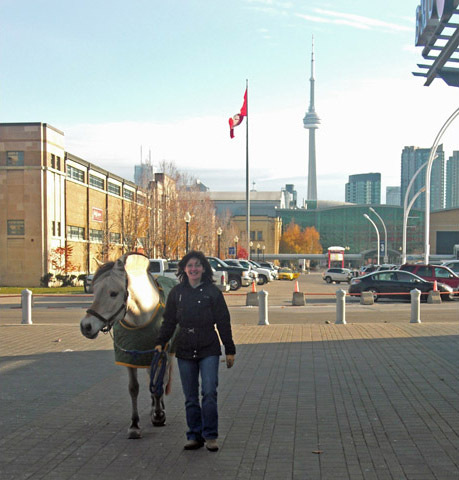 I put together this gallery of photos from last year with Bocina. 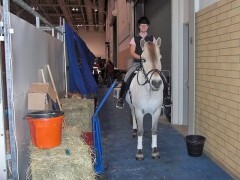 It gives you a bit of the flavour of the fair. 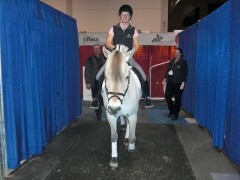 We were there for the opening three days Friday through Sunday, then we left and another Fjord came in to do the demos for two more days. The opening weekend was especially busy, with lots and lots of visitors. 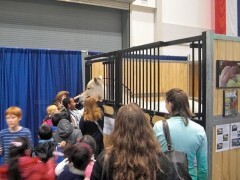 On the Friday we got a lot of school kids. 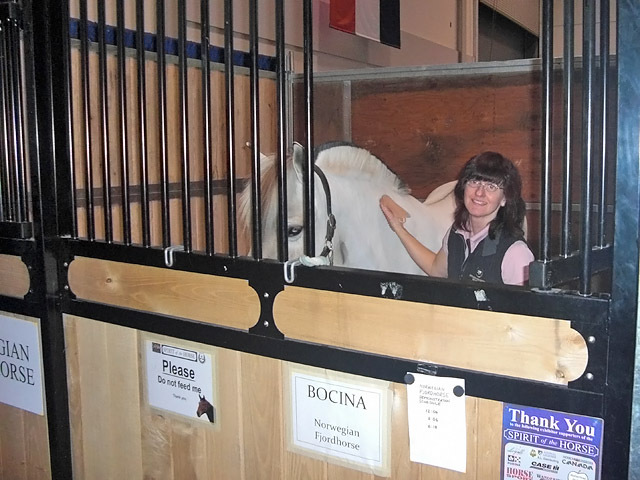 Everyone, one and all, seemed fascinated by Bocina, and we had one of the only two stalls in the Spirit of the Horse with a top door that opened so Bocina could put her head out and let people meet her up close and personal. 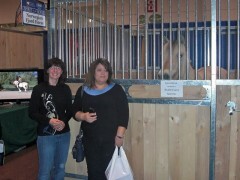 The lineup for autographs gets long! 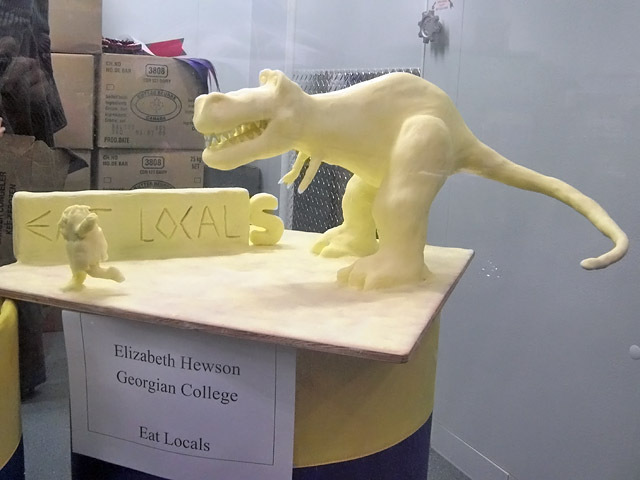 And what would the Royal be without the butter sculptures? This one is so fun!